"Oh, you beautiful baby! 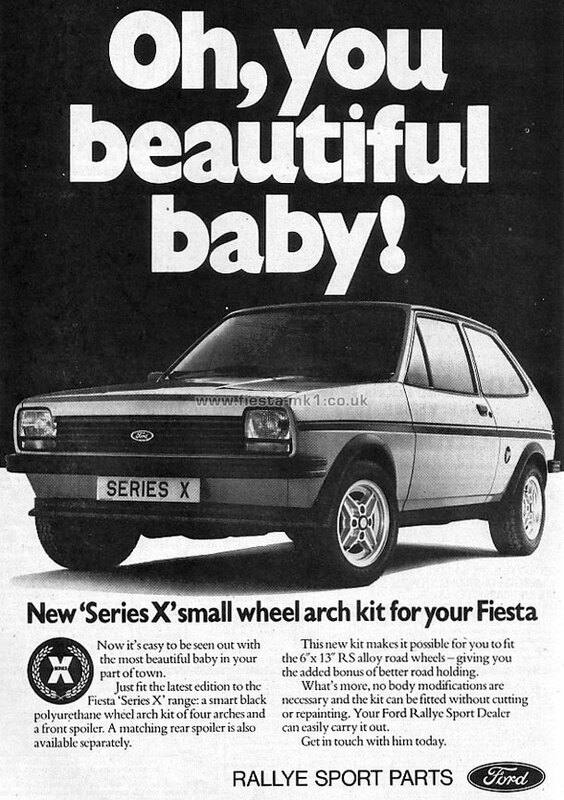 New 'Series-X' small wheel arch kit for your Fiesta"
Release Date approx. May 1981.